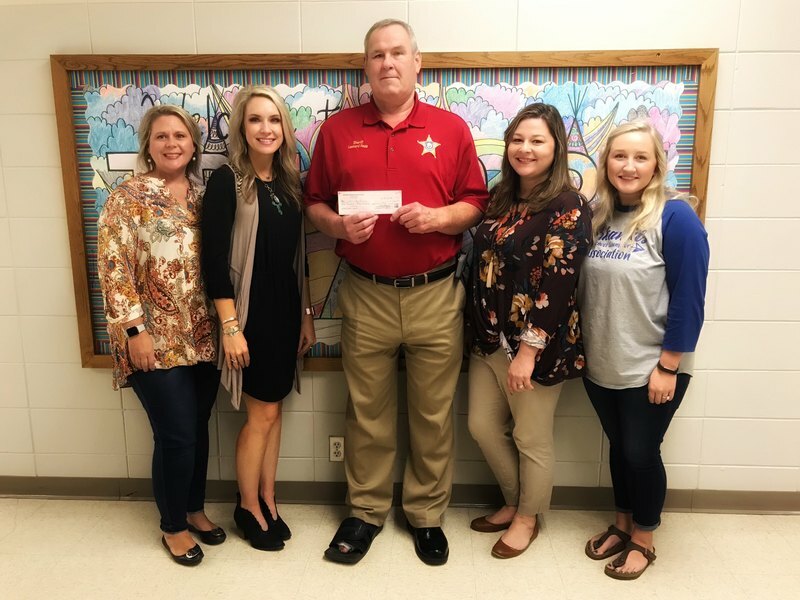 Star City School District was awarded a grant for $1,362 by the Arkansas Sheriffs Association for Red Ribbon Week. This money will be used toward students at each of the 3 schools in the district. Special thanks to the Arkansas Sheriffs Association for the generous award. Children of parents who talk to their teens regularly about drugs are 42% less likely to use drugs than those who don't, yet only a quarter of teens report having these conversations according to the Red Ribbon Week Campaign. We feel building relationships and rapport with students to earn their trust and respect will help us build the foundation to show them how they can obtain a successful and drug free life! Sheriff Leonard Hogg presenting School Counselors with the grant money from the ASA.